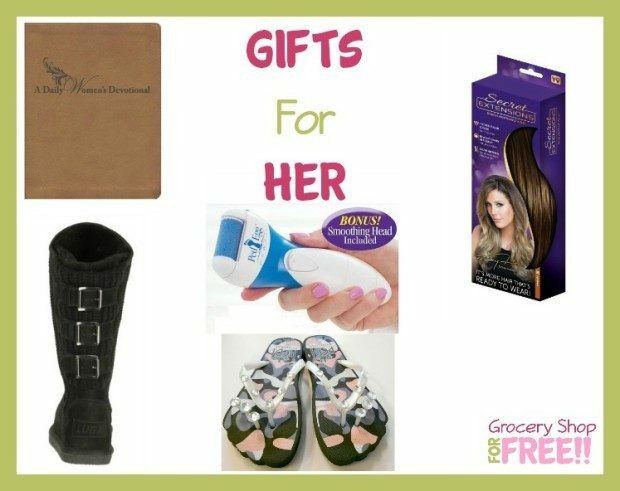 Grocery Shop For FREE Holiday Gift Guide 2016! 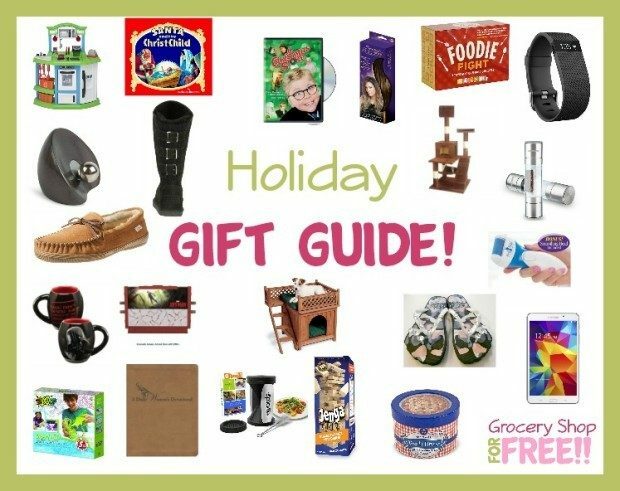 You are here: Home / Great Deals / Christmas Deals / Grocery Shop For FREE Holiday Gift Guide 2016! 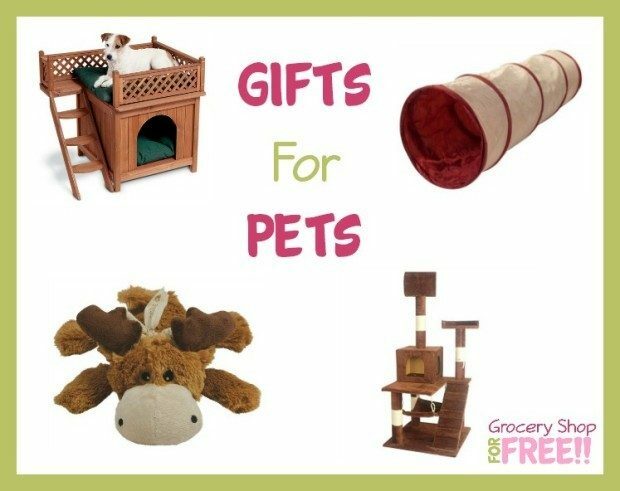 Grocery Shop For FREE Holiday Gift Guide 2016! It’s that time of year again! With Halloween behind us, shopping season begins! 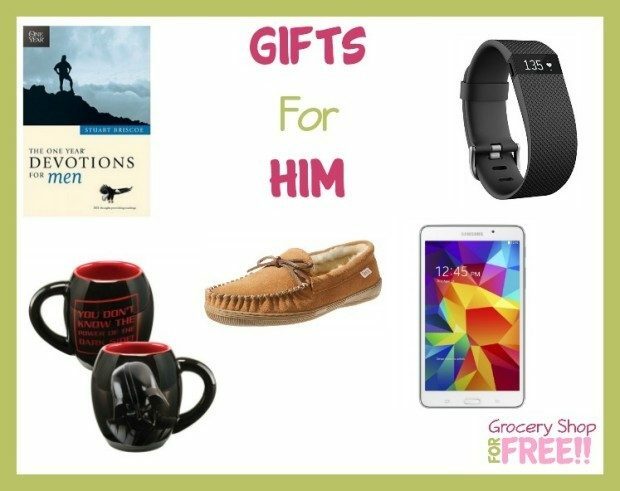 So, here are my picks for some gifts you might want to think about for those on your list! 49 PCS LED BULBS DESIGN: Provide brightest lightis for outdoor lighting,security illumination at night.With motion sensor,night Sensor,keep safe! 2200mAh BUILT-IN BATTERY: Lighting time can be up to 12 hours in normal situation after fully charged(Solar Charging,Rechargeable). BIGGER SOLAR PANEL: Up to 5.4*3.2″,latest polycrystalline silicon technilogy,high energy efficiency,charging time 6-8 Hours under fully sun raying. 3 INTELLIGENT MODES: Lights auto off at daytime/auto on at night.DIM to BRIGHT when motions detecting(Within 15 ft/120 degree angles),Back to DIM when no motions after 30s. MODERN STYLE:Elegant body,plastic with antirust metal,diamond lampshade for softer lights.Waterproof,wireless,easy installation,matches any decoration. At setup, starts at 18 inches high, and can stack to over 3 feet high in play! Want bigger? Check out our Jenga Giant Genuine Hardwood Game which can stack to over 5 feet high with Booster Pack! This movie of course is a classic. I never got into it, but, I know many people would love to have this in their collection. A Christmas Story is a Christmas classic on DVD that tells the story of nine-year-old Ralphie (Peter Billingsley). In the movie, Ralphie wants only one thing: a Red Ryder Range 200-Shot BB gun. When he mentions it at the dinner table, his mother’s immediate reaction is that he’ll put his eye out. He then decides it’s the perfect theme for a report for his teacher, but her reaction is like his mother’s. He fantasizes about what it would be like to be Red Ryder and catch the bad guys. When the big day arrives he gets lots of presents under the tree including a lovely gift from his aunt that his mother just adores. But what about the BB gun? 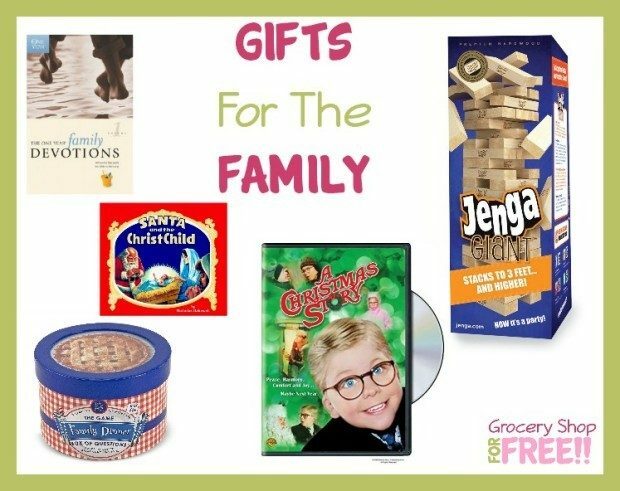 This would be a great gift for any family. The One Year Book of Family Devotions offers a full year’s worth of delightful stories and relevant Bible passages to boost your family’s devotion time. Since the Scripture verses–taken from the eminently readable New Living Translation–are printed alongside the stories, this book is all you’ll need. It also includes a “How about You?” section to personalize each lesson, a Scripture memory verse, and a handy two- to five-word summary of the day’s message. Families with children ages 6-10 will enjoy the updated look of the first two volumes of this classic devotional book. This is a great way to get them talking! 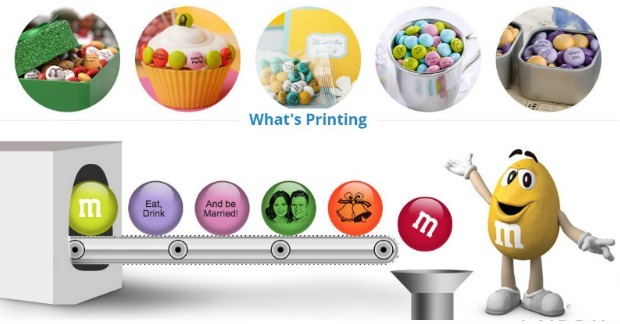 Who doesn’t love M&M’s? They have awesome deals on gift packages with anything printed on them, and any color you’d like! Plus, they have a large selection of plush M&M characters that anyone would love! So, many things to choose from including an Apothecary Jar that you can design your own gift with, too! From now through 12/23/16 you can use code: GROCERY35 and receive 35% off your order site-wide! Anyone in the family would love these! Watch your child become a designer, builder, and storyteller right before your eyes with groundbreaking magnetic construction sets from Build & Imagine. Recommended for ages 4–8. 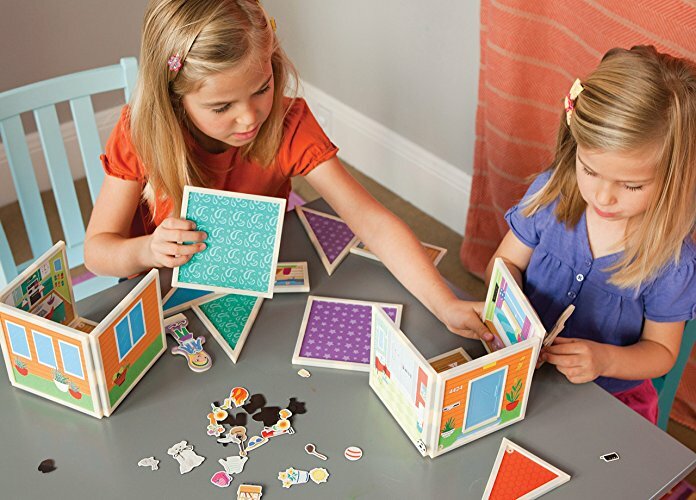 Join colorfully illustrated magnetic panels to build a custom dollhouse that’s different each time you play. Bring your scene to life with two sturdy wooden characters and magnetic clothes and accessories that stick to the dolls and panel walls. It’s big open-ended play that runs on pure imagination. Designed in California by a mompreneur named the “Rising Star Toy Inventor of the Year”. 61 Piece Magnetic Building Set: 10 dual-sided square StoryWall building panels, 2 isosceles triangles, 2 right-angle triangles, 2 rectangles, 2 standing dress-up characters, and 43 magnetic accessories. Features a pool, functional door that opens, living room, kitchen, 2 bedrooms, 2 bathrooms, outfits, pets, and much more! Blast your opponent’s Receiver Vest from up to 200’ away. Full Color Lighting Effects let you keep track of shots and hits. Interactive voice coach gives tips feedback during the game. Plug in headphones and hear the Laser X Soundtrack and Sound Effects. Compatible with all other Laser X sets. Play as teams or as individuals. 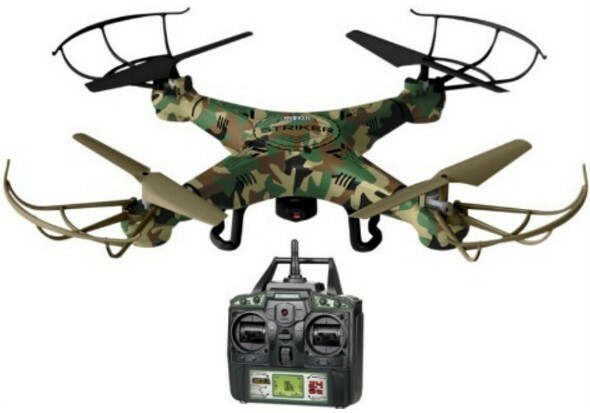 Striker Sky Drone – What kid (or Dad) doesn’t want a drone?! WITH A video camera! What fun! You can find them at Pilot Flying J! The spotlight should be held as close to your project as possible (about .5 inches). You can also cure your pieces from the bottom of the plastic tracing sheet by holding your light directly under your artwork. This is helpful for thicker lines and larger areas of ink. The tip of the pen can be adjusted to create thick or thinner lines. Trace small sections of your project pieces and then quickly hit it with the light. You do not need it to fully cure; a couple of seconds will prevent the ink from spreading and allow you to achieve finer detail. Repeat this process until you are finished with your project piece. We have found that alcohol based hand saniters help to easily remove any sticky residue left behind by the ink. Look into the mirror and keep your self groomed just like mom. Working lights with 10 accessories. This kid-friendly devotional pairs Scripture and ageless themes with modern-day stories and prayers. Each day’s devotion is structured to encourage preteens in their faith and help them stand strong in difficult times. Ages 9-12. 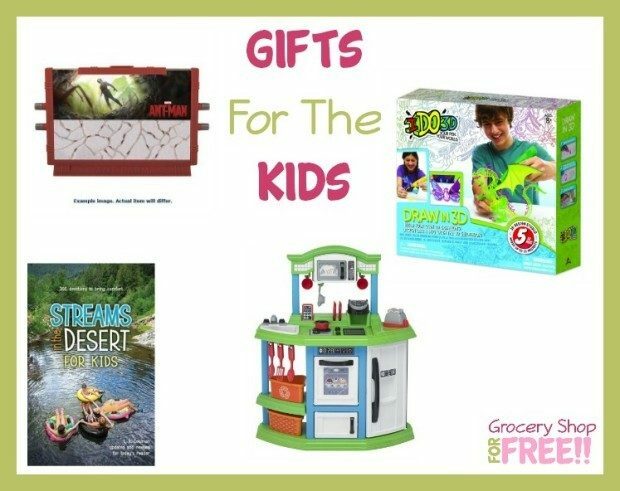 What kid wouldn’t love to build themselves an actual working safe to stash their goodies?! I have one and LOVE it! I use it all the time! I also have these and love them. They are super comfortable and warm! The Women’s Mahala slip-on boot is a fresh take on a timeless winter fashion boot. As a pastor’s wife, author Donna Gaines has personally experienced or witnessed the issues that woman struggle with, including identity, marriage, children and work. Reading A Daily Women’s Devotional is like having a conversation with a trusted friend who knows what you are going through. Over 52 weeks, this daily devotional shares engaging Scriptures, real-life inspiration and practical wisdom. Each week focuses on a single theme, with devotions, Scripture and a prayer for each day. We are focused on creating timepieces that are modeled after a modern lifestyle. We value sustainability, efficiency, and experiential living. We make our watches for people who don’t just have somewhere to be, they have somewhere to go. ShedRain offers the perfect stocking-stuffer for the stormy seasons ahead – the ShedRainHoliday Edition Mini Umbrella (available exclusively at Macy’s). Featured in a brightly colored, open display gift box, this compact umbrella is just the right fit for easy gift-giving. The Mini makes a big statement in a fashion-forward, colorful, Pop Dot print or classic black and folds up easily to a compact six inches. The steel shaft and ribs make it both strong and reliable against even the soggiest weather. Recognizing that men and women face unique spiritual needs, these 365 convenient, concise, and uplifting devotionals help readers focus each day on God’s priorities. Each day’s selection includes a key NLT Scripture verse, a devotional reading, and a suggested Bible passage for further study. These wireless sport earphones are great for music or phones. 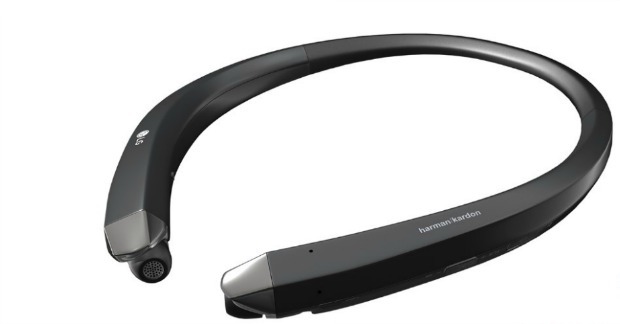 You can connect them to 2 different devices to make it easy to answer your phone when you’re listening to music! HE HIGHLY RATED EASY-TO-USE INGENIOUS DESIGN – Simply add your favorite fresh spices, then quickly grind & shake them right onto your plate! 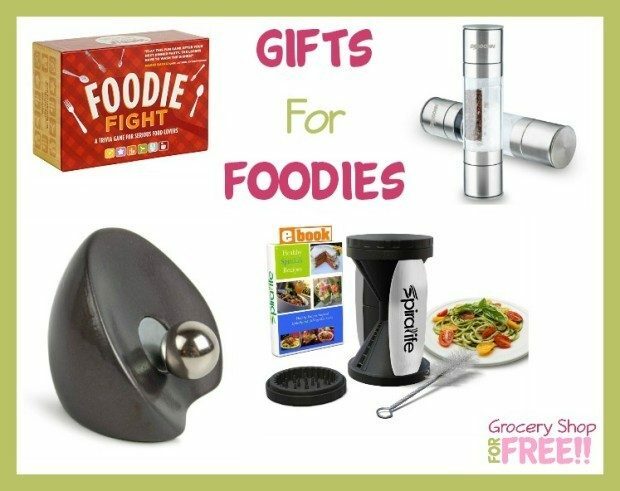 SAVOR THE FLAVORS OF FRESHLY GROUND SPICES – With the market’s best salt and pepper grinder set! SLEEK AND STYLISH – The DRAGONN salt pepper grinder is made from durable stainless steel body and an acrylic glass see through window. EASY ADJUSTER – With the DRAGONN 2-in-1 Salt and Pepper Grinder Set you can easily adjust the grinding setting by simply twisting the knob on the ends of the mill. Additional features include a base for precise seasoning, an acrylic viewing chamber to easily identify the contents. HOW WE’RE DIFFERENT: NEW IMPROVED CAP uses more of the veggie than other spiralizers. We are all about quality and making our customers happy. Feel free to contact us at any time for questions, tips and recipes. We love to help! SUPERIOR DESIGN: The original SpiraLife is the ONLY handheld veggie spiralizer with our improved cap for less waste. With both a spaghetti blade and a wide ribbon blade in one convenient gadget and a solid body construction. No clogging or jamming. Easy to clean & dishwasher-safe. Cleaning brush and bonus hand slicer included. BONUSES! EXTRA HANDHELD SLICER, BAG, RECIPES & INSTRUCTIONAL VIDEOS: Watch our 5 exclusive how-to videos in our SpiraLife Recipes eBook. Order now to receive an email with your eBook download full of homemade vegetable spaghetti maker recipes like the ones pictured here. So watch your inbox! CUSTOMER CARE PROMISE: Lifestyle Dynamics offers complete customer satisfaction, period. Our customers are more important than our sales. If for any reason you are not absolutely happy with your zucchini noodle maker, we will replace or refund your order, no questions asked. CONTACT US directly and we will take care of you. We love to help! MULTI-UNIT DISCOUNTS: Scroll down to the Special Offers & Product Promotions area below. Up to 25% off of today’s order. 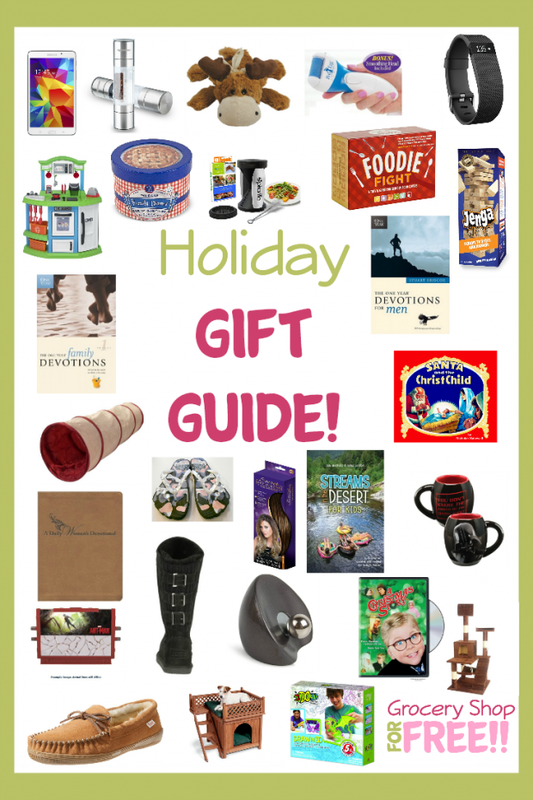 The perfect holiday gift!